Announcing the general availability of Qlik Sense Enterprise 2.0, Qlik DataMarket, and the Qlik Analytics Platform. Back in April I published a blog titled “It’s Game Day: Level Up to a Next Generation Analytics Platform,” which walked through the announcements we made at our 10thanniversary partner event Qonnections, in Dallas, Texas. 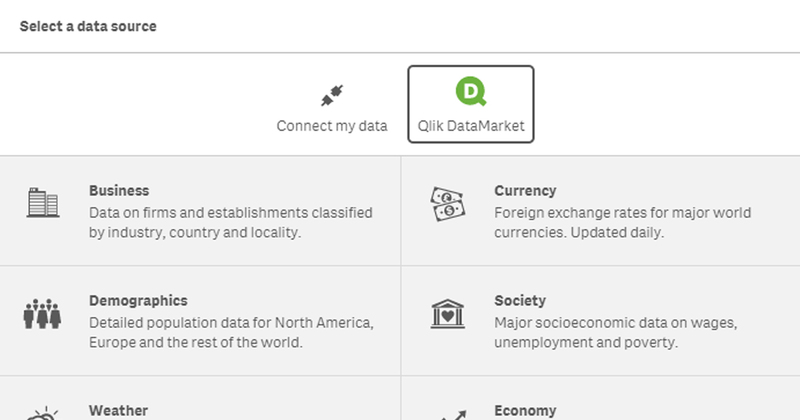 Well, since April my fellow #TeamQlik colleagues have been hard at work delivering on these announcements and I’m delighted to be able to announce the general availability of Qlik Sense Enterprise 2.0, Qlik DataMarket, and the Qlik Analytics Platform. By taking these solutions to market not only have we continued to deliver against our commitments to our customers and partners, but we continue to challenge the norm and disrupt the business intelligence market. I make no bones about asserting that Qlik is in a unique position in the market. Between antiquated BI stacks, and incomplete data visualization tools, only Qlik can deliver a visual analytics platform that puts insight and data at the point it adds most value – the point of decision. It’s only Qlik, as a result of our associative model, that can empower users to see the whole story that lives in their data. And it’s only Qlik that is proven in its ability to deliver true agility for the business user, but also combine that with governance, trust, and scale for IT. Let me summarize the details of each release. Qlik Sense Enterprise 2.0 – Our second release in our Qlik Sense product family in 2015, 2.0 offers a number of significant new capabilities including Smart Load, our new self-service data preparation solution that helps users access data from any source and find the relationships that exist in this data without any scripting; Smart Data Compression which visualizes of billions of data points while preserving patterns and meaning in the data; and following Qlik’s recent acquisition of NPrinting, users can now benefit from the ability to print and export content, producing reports to share insights in a single click. Qlik DataMarket – A unique proposition in the business intelligence market, Qlik DataMarket is a data as a service offering that provides access a comprehensive library of external data directly within Qlik solutions, and allows users to augment and cross reference their internal data to gain greater context and drive deeper insights. No other vendor in the business intelligence market delivers this type of data library that encompasses both free and paid data sources including business demographics, currencies, population, economic indicators, development indicators, and weather, all offered at various levels of granularity, some down to zip code. Qlik Analytics Platform – Building on the confidence we have in our underlying engine and associative model, we announced that we would be making our platform available to developers to build unrestricted data-driven applications that can be embedded in any enterprise application and website. The Qlik Analytics Platform comprises the QIX Associative Data Indexing Engine; a library of modern mobile-ready visualizations, open and documented APIs, including mashup and extension APIs; direct API access to QIX engine; management level backend APIs; and an application toolkit to create a data model, build expressions and leverage the Qlik charting engine. Now available to our customers, partners and ISVs the Qlik Analytics Platform can be used to extend the reach of BI strategies to partners and customers via their extranet and internet sites, fostering greater collaboration and interaction through data. 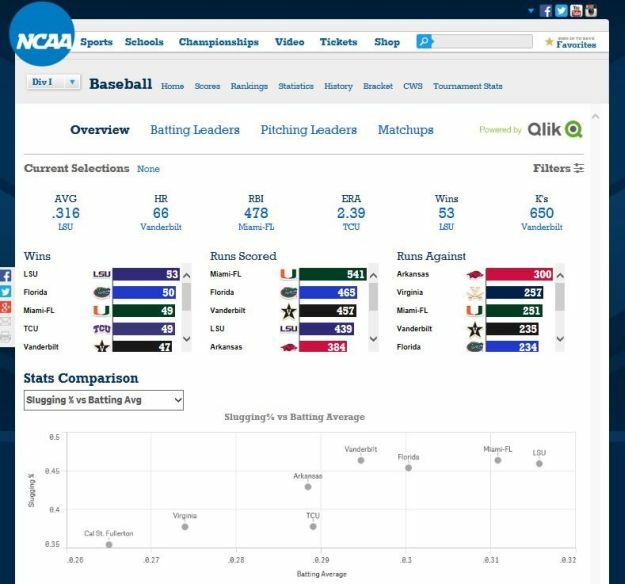 A great example of how the Qlik Analytics Platform can do this is showcased through our partnership with NCAA.com, where the platform was used by our own web developers to build custom embedded analytics in the NCAA.com website providing insight into the performance of teams in the Men’s College World Series baseball championship. I’m very excited about these releases. By leveraging our visual analytics platform and the capabilities this provides, including Qlik Sense Enterprise 2.0 and Qlik DataMarket, we are giving everyone the ability to answer not just ‘what happened’, but ‘why’ and ‘what is likely to happen’, because our associative model is the only one that can empower users to see the whole story that lives in their data. To find out more about these release please visit Qlik Community or contact your local Qlik representative.